Just a 10-minute ferry ride (15 minutes if you count time for unloading vehicles) from Tacoma lies Vashon (emphasis on the first syllable) Island. Since the ferry leaves from Point Defiance Park, right near our house, we’d been meaning to make the trip some time. Yesterday “some time” finally arrived. 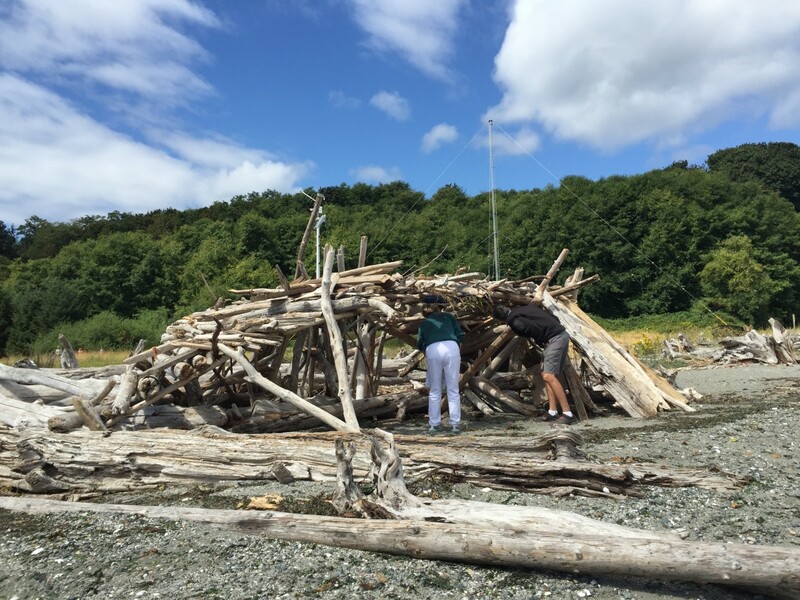 Vashon Island is about 13 miles long and eight miles across its widest point (about the size of New York City’s Manhattan, many descriptions say). It’s predominantly rural, with a resident population of about 11,000. It’s accessible only by ferry, from either Tacoma, West Seattle, or Port Orchard. There are two major towns on the island, Vashon and the much smaller Burton. Many small local farms on the island offer produce and eggs for sale. Vashon Island also features a thriving arts community, with its own community theater and several shops and galleries that feature the work of artists from the Puget Sound area. Tourists from the Greater Seattle area come to here for biking on the island’s many wooded trails or for kayaking. Both ferries and public buses operated by Seattle Metro Transit and Pierce County Transit offer transport of bikes. Kayaks can be rented through the Vashon Park District. We’ll have to go back again, probably several times, because there’s a lot we didn’t see on yesterday’s visit. 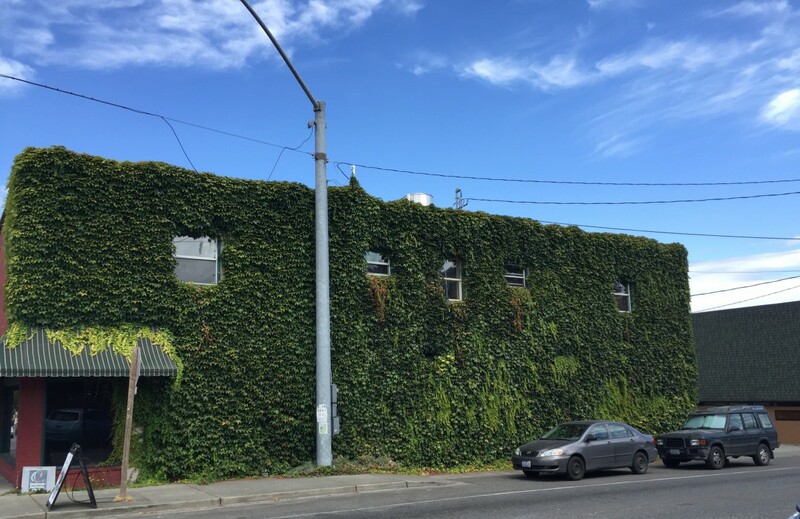 I have never seen a wall completely covered with ivy, like this side of a building in Vashon. 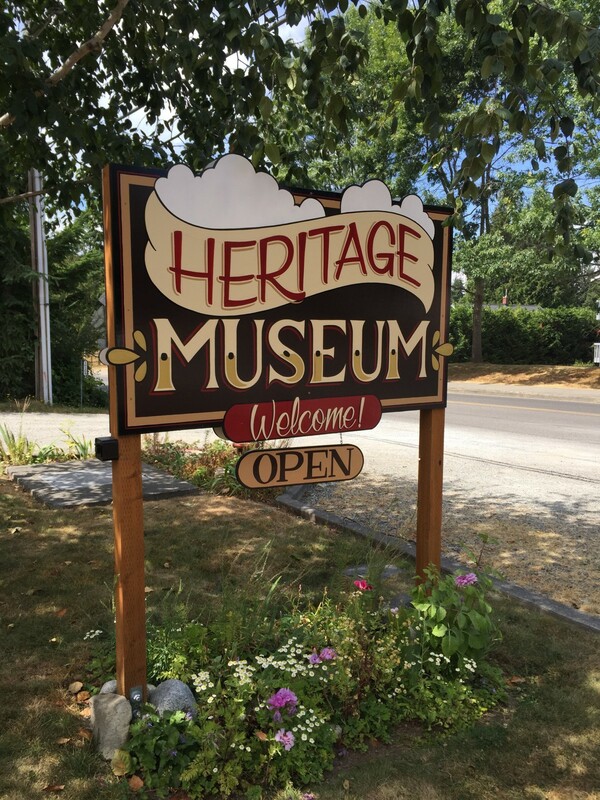 The Vashon-Maury Island Heritage Association sponsors The Vashon-Maury Island Heritage Museum, located at 10105 Bank Road in the town of Vashon. The building that now houses the museum was originally a Lutheran Church built in 1907. Museum hours are 1:00 to 4:00 Wednesday through Sunday. Though small, the museum is well laid out. After entering, visitors learn about the history of the island by moving counter-clockwise around the central room. The exhibit begins with information about the island’s first inhabitants, the Puyallup Tribe. When European-American settlers came to the area in the mid nineteenth century, the Native Americans were relocated to the mainland. The Puyallup Tribal Center remains in Tacoma. Artifacts and reproductions of photos, newspaper articles, and other documents present the area’s history as a center of logging, lumber milling, boat building, and farming. Previous Previous post: If I Had Three Wishes. . .
Next Next post: Happy National Lighthouse Day!